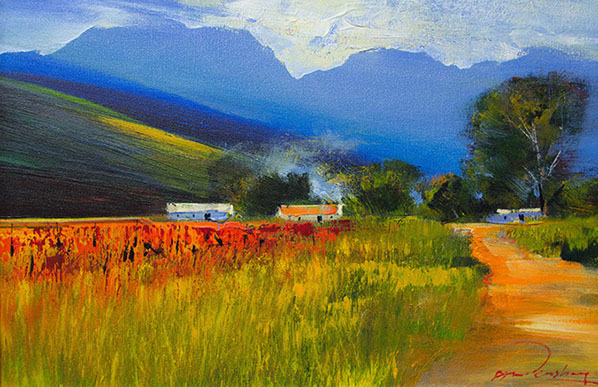 Derric van Rensburg, internationally renowned for his superb impressionist paintings, is widely rated as one of South Africa’s top artists. 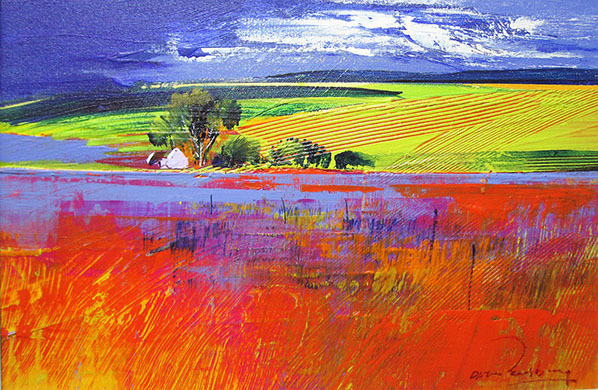 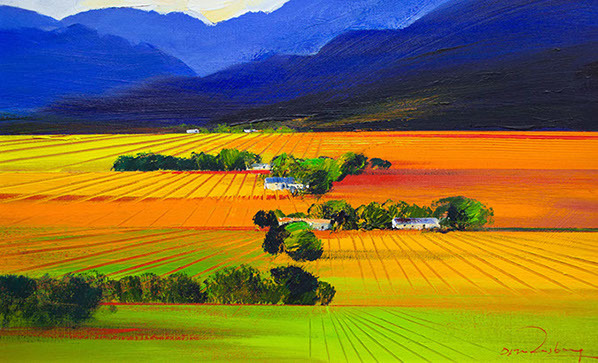 He is well known for his colourful landscapes, the vineyards of the Western Cape, abstract wildlife and the use of bright acrylic colours in these paintings. 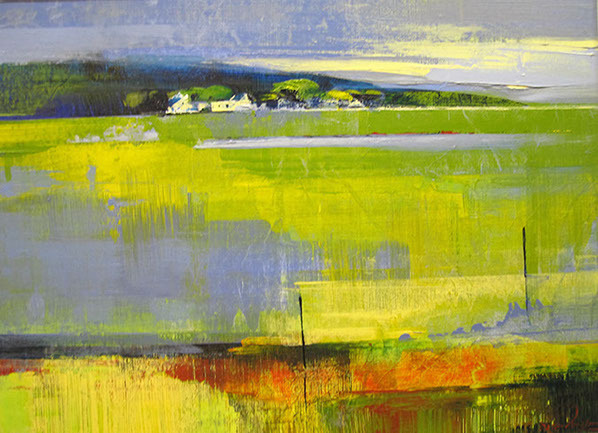 Following humble beginnings, Derric has emerged as one of the true heavyweights of the local and international art scenes. 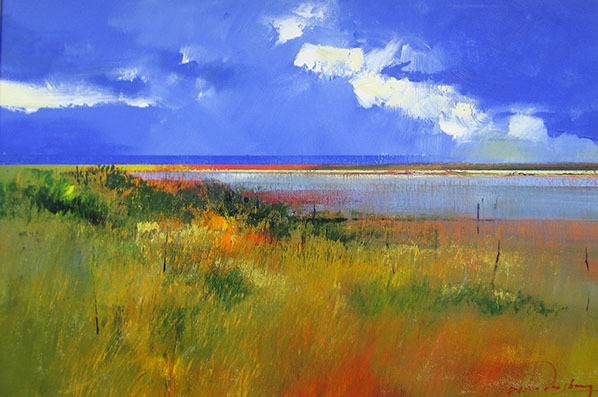 Having always felt a profound connection to the natural environment since early childhood, this versatile and prolific artist draws his inspiration from the abundant beauty found in the African landscape, as well as the rich variety of people, fauna and flora inhabiting it. 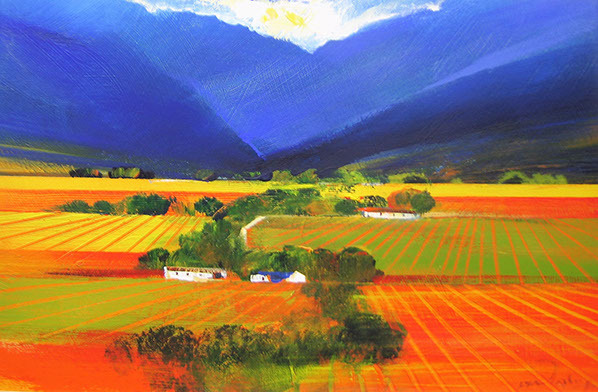 To the delight of audiences at home and abroad, his broad brush strokes and sometimes abstract visual intensity, coupled with ingenious impressionist flair, continues to capture the true aesthetic essence of this rugged continent. 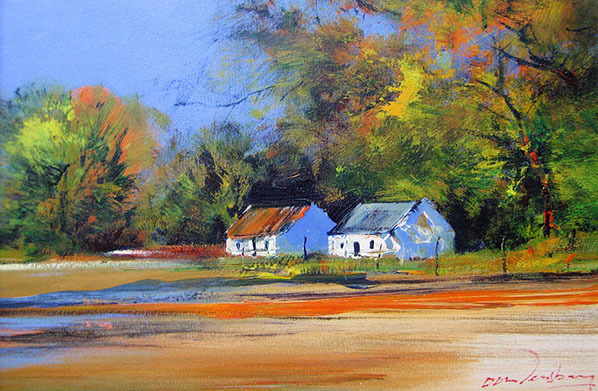 It all started at the age of ten when he completed his first pencil drawing, and his career later followed the commercial and manufacturing world of the creative arts. 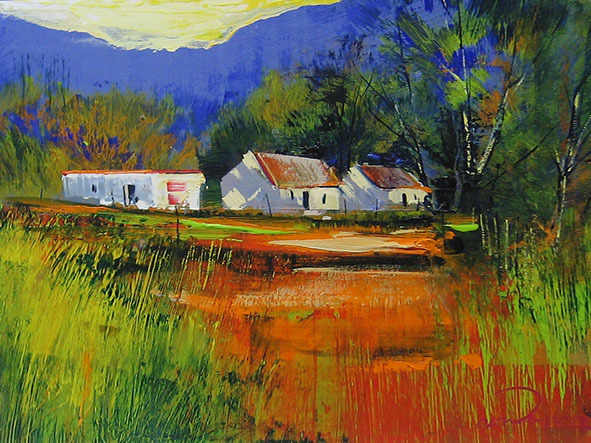 He progressed to teaching art before becoming a professional artist in 1986.He has contributed richly to the development of emerging artists in South Africa, not only through teaching art as a profession, but also through numerous workshops and private tutorials across the country. 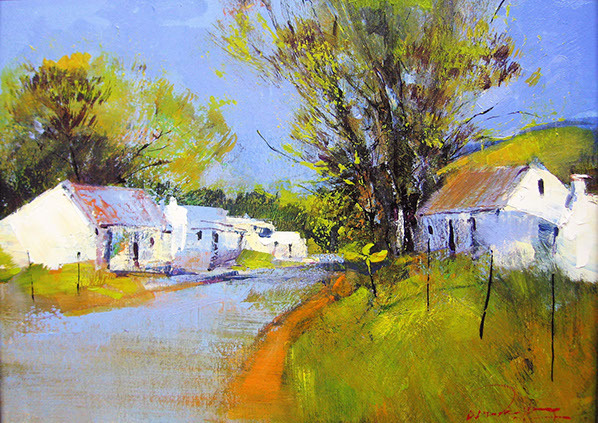 Derric has exhibited many times in South Africa, Portugal, England, Germany, Italy and Australia, and most of his commissions are placed by multinational corporate clients and a number of South Africa’s finest hotels.